Swift Stream Voice has prepared this Reasonable Use Policy (“Policy”) as a guide for its customers to understand the intended and permissible uses of our service, and to prevent exploitation, fraud, and abuse of its unlimited calling plans and features. This Policy is based upon the relevant provisions in our Terms of Service and is applicable to all our services. 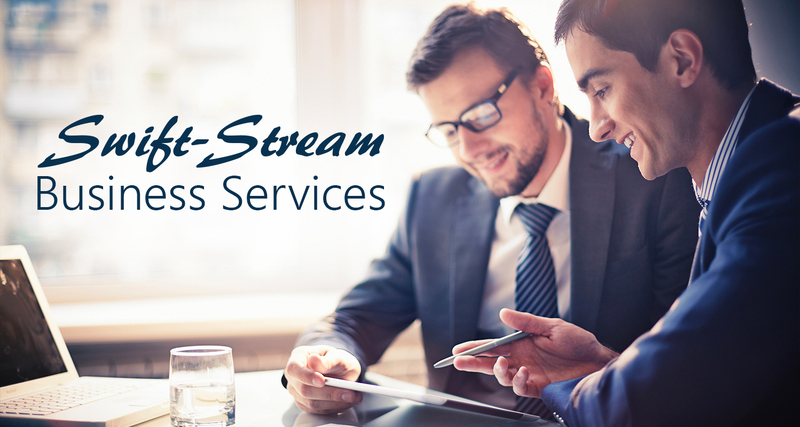 Our Terms of Service are located at www.SwiftStreamVoice.com/tos for our residential services. Swift Stream Voice’s residential unlimited service plans and features are only for normal residential or personal, non-commercial use. This means that only the account holder and residential family members may use Swift Stream Voice’s residential unlimited service plans. Residential family members include your immediate family who reside in your personal residence – e.g., spouse, domestic partner, parents and/or children. Based on such a combination, Swift Stream Voice may determine that abnormal, unreasonable or impermissible usage is occurring, and may take appropriate steps described below to enforce this Policy and the Terms of Service (“Swift Stream Voice’s Rights”). We reserve the right to review your account and take further action if account usage is beyond normal standards, impermissible or detrimental to other customers’ ability to use the service or adversely affects our operations. We may assess abnormal usage based on comparisons to the usage patterns and levels of our other customers. If we determine that you are engaging in abnormal or impermissible usage, we will use commercially reasonable efforts to inform you and provide you with the opportunity to correct the improper usage. If you fail to correct usage activity to conform to normal use, we may exercise our right to transfer your service to a more appropriate plan, charge applicable rates or suspend or terminate your service with or without notice. If we believe that our service has been used for an unlawful purpose, we may immediately terminate your service with or without notice and/or forward the relevant communication and other information to the appropriate authorities for investigation and prosecution. We reserve all of our legal rights. Swift Stream Voice reserves the right to change this Policy at any time. Changes shall become effective when a revised Policy is posted to Swift Stream Voice’s websites.